What Does The Best Bond Cleaning In Belmont Cover? Finding and selecting reliable house cleaning in Belmont is not easy. The most common questions we get asked by people like yourself have been collated below to assist you in making a smart decision. 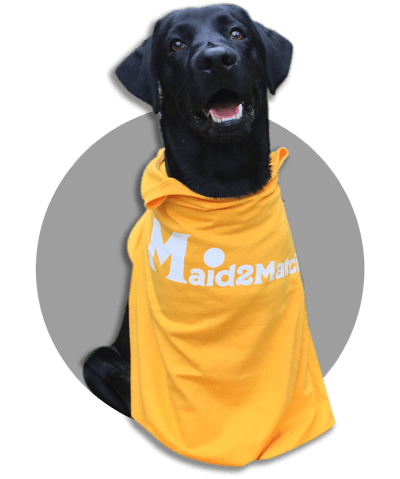 WHY ARE MAID2MATCH BELMONT’S BEST AT VACATE CLEANING? The truth is great bond cleaners possess a different skill set than regular house cleaners and therefore requires specific experience, dedication, and a first-class cleaning checklist. At Maid2Match, we personally vet all our cleaners, after having them complete a three-part application form. We provide extensive support and have crafted the most effective bond cleaning checklist you’ll find. Our team is the go-to for vacate cleaning Brisbane. Located 12 kilometres away from Brisbane Central Business District towards the south-east, Belmont is one of Brisbane’s outer suburbs. With a rich history and varied landscape, this is a gorgeous place to visit. You can hike alongside the hills of Belmont and imagine the local Aborigines that hunted here and camped on the creeks’ banks. It’s not hard to do that, considering that the Bulimba Creek banks actually saw a corroboree ground. And if you get to the mineral springs near Mount Petrie, remember the indigenous people that settled there. While there are no remnants from that time, there are some from the end of the 19th century, like the Belmont State School which opened in 1876. There are plenty of shops you can visit on your way there, like the quaint Thrift Shop at Tingalpa United Church, or Chris’ Designs. After you stop for a bite to eat at Kenji Sushi, you can visit the Belmont Rifle Range that’s home to many sport shooting clubs. Renowned for hosting the 1982 Commonwealth Games and the 2011 World Long Range Championships, there are plenty of interesting activities you can try here. And afterwards, you can tell all your friends while sharing a drink at The Belmont Tavern.